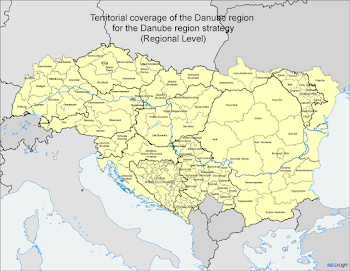 The conference will be held in Eisenstadt , 25 June 2014 , in a small town not far from Vienna , and in front of large annual general meeting of all stakeholders of European Union Strategy for Danube Region- EUSDR. Host this year's meeting is the Foundation " Foster Europe," headed by the President of the Danube Civil Sociaty Forum , Mr. Stefan August Luetgenau , with the support of the PAC 9, and PAC 10 of the European Strategy for the Danube region and the Region of Baden - Wutenberg , Germany .This year's gathering of civil society will be organized so that the four most important areas of activity ( reminding Danube Strategy at the very beginning had four pillars of cooperation ) is discussed in four separate working groups called " villages ", where the actors of civil society have the opportunity to officials from the European Commission in direct contact exchange experiences and problems of implementation of the Danube Strategy. The first working group is for participants in local authorities ' Local governance : Subsidiarity , Competence and Transparency " . ( In accordance with the principle of subsidiarity requires that decisions are taken at the lowest possible level of government . This principle implies that the central government should not take measures, except where such treatment would be more effective than the measures taken at the level of regional or local authorities authorities . This expression is in the European Union usually used to define the areas in which member states have the right to act independently , ie , areas that do not apply ac q UIS communautaire , ie the laws and regulations of the European Union ( for example, the deadline for drawing annual budget and its submission to parliament falls into question which we use the principle of subsidiarity ) . principle of Competence is also a problem that afflicts a large number of participants in the implementation of the Action Plan of EUSDR and is closely linked to the principle of Accountability, control concept which means that politicians and government officials occasionally have to respond to issues relating to their activities ( accountable ) and have to bear the responsibility for the exercise of the powers entrusted to them . To effectively responsibility is necessary to firmly and clearly establish responsibilities , then they are consistently followed. Measures to determine responsibilities should include the following three questions : Who is responsible for what ? It seems , however , that for the third year in a row, we still have no clear idea of ​​a tied roles and responsibilities in the implementation of the Danube Strategy . Moderators of this working group is energetic theorist and analyst of the political situation in the EU , Gabor Schneider from Stockholm . Another working group is dedicated to Civil Society "Civil Society : Capacity building , Participation and Subsidiarity " Taking into account the vast differences in the economic, social and other terms of the participating countries of the Danube Strategy, the differences are the main motive of setting up and adoption of the Danube Strategy, Civil Society has crucial role, assuming that the freed party discipline at the local level . How to make a step further in pooling , empowerment and stronger influence in the local and international level are topics that will be the basis for starting the discussion . " Danube Civilian Sociaty Forum " today brings together over 100 CSO from all fourteen countries that are involved in EUSDR . Does the grouping of the sector and setting common goals in front of the EU can contribute to strengthening the impact on local levels , which are the tools and resources at their disposal , are just some of the questions with which to Mrs. Iva Taralezhkova( Regional President " Devetaki Plateau Association", Bulgaria ) run open discussion. The third working group is dedicated to the culture of workmen keeping in mind the international cooperation: " Setting up structures in creating of culture cooperation in the Danube region." This working session will take by Mrs Regina Hellwig Schmid, Regensburg, who for several decades is an important actor in the international cooperation of the Danubian countries. The most famous project of which she managed more than ten years is the project "Donumenta " . Specific questions will be asked in the form of : whether there is a clear policy harmonization in the Danube region , what it means to live for cultural pluralism and democracy, which are the potentials of contemporary art and the creative industries . The fourth working group is intended for young people in the Danube region, and the same will lead by Mr Stefan Barth. From the very great importance is the involvement of youth organizations in understanding and implementing of EUSDR 's. Youth : Education , Participation and Qualifications are topics that will serve as a basis of discussion. The transition from formal education to the market , the problems faced by young people today , when unemployment has long crossed the border decent concerns , issues related to formal and informal education , funding opportunities and "just coping" in the brutal market are burning issues related not only to the implementation of the Danube strategy , but questions which today is a priority in the global sense. How engaging youth through activism of civil society can contribute to a better position and setting new norms and standards , and whether the EUSDR a "trusted " instruments ? Of course , open discussions imply that these issues only initial questions .